Ponderosa Campground is located 15 miles east of Payson on S.R. 260. There are 61 units including 2 group units that can hold 50 campers each. 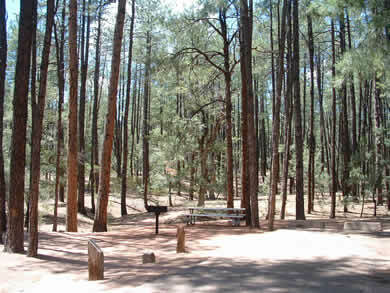 The campground is well spaced and shaded by the largest stand of ponderosa pines in the world. Ponderosa is set just below the Mogollon Rim and fishing is available 20 minutes east at Woods Canyon Lake or Willow Springs Lake. 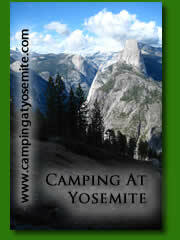 Campsite Panoramas - See each campsite at Ponderosa Campground. From Payson travel east on S.R. 260 for 15 miles to the campground turnoff on your right.